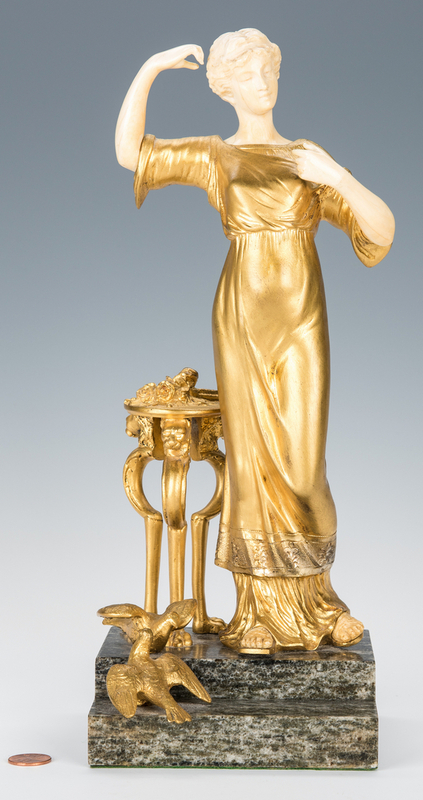 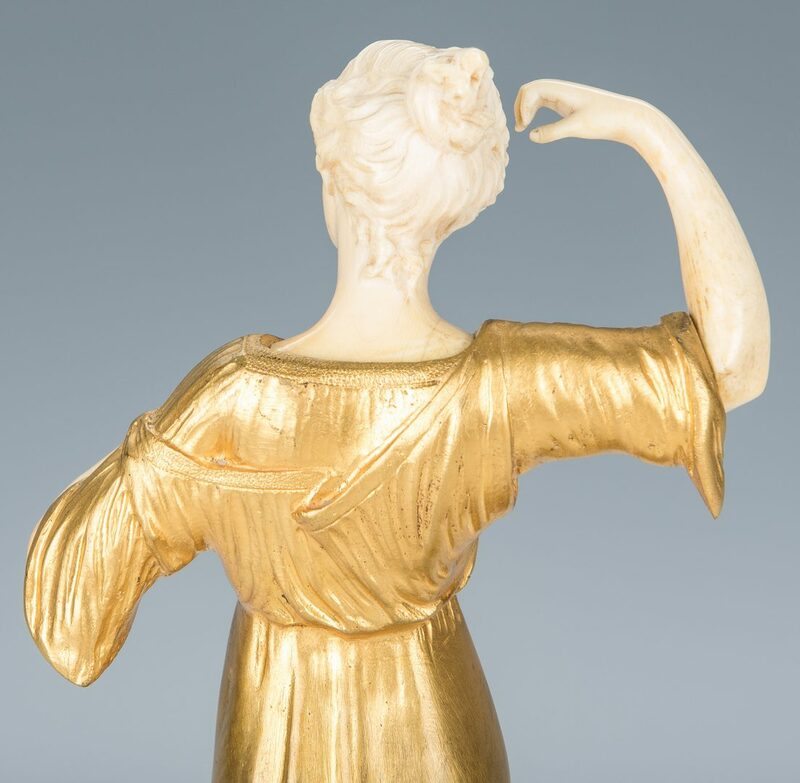 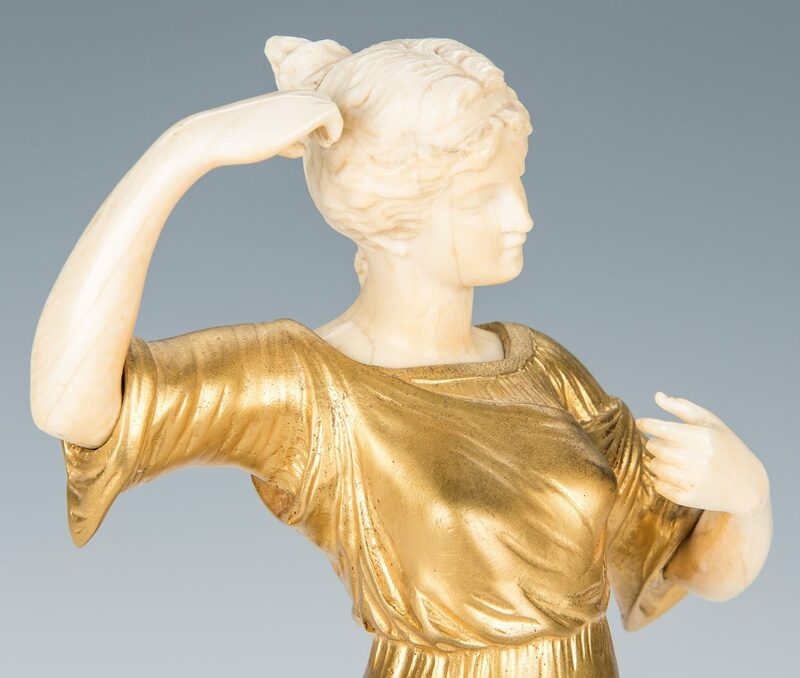 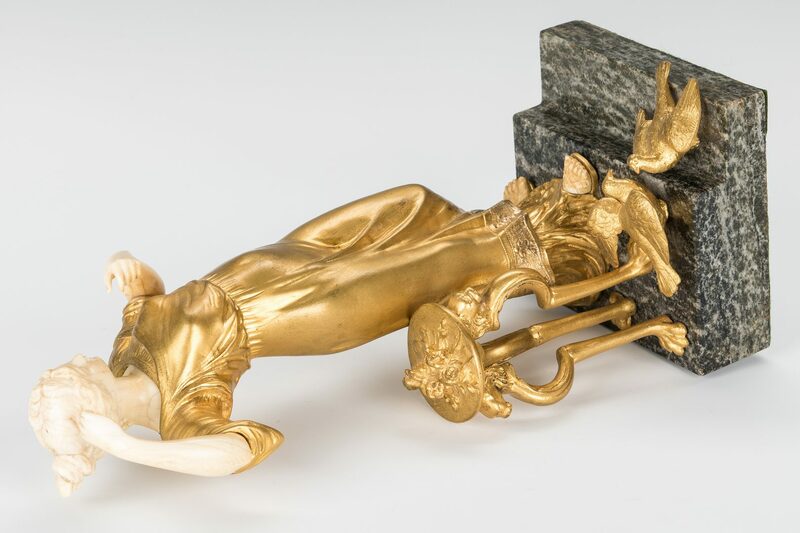 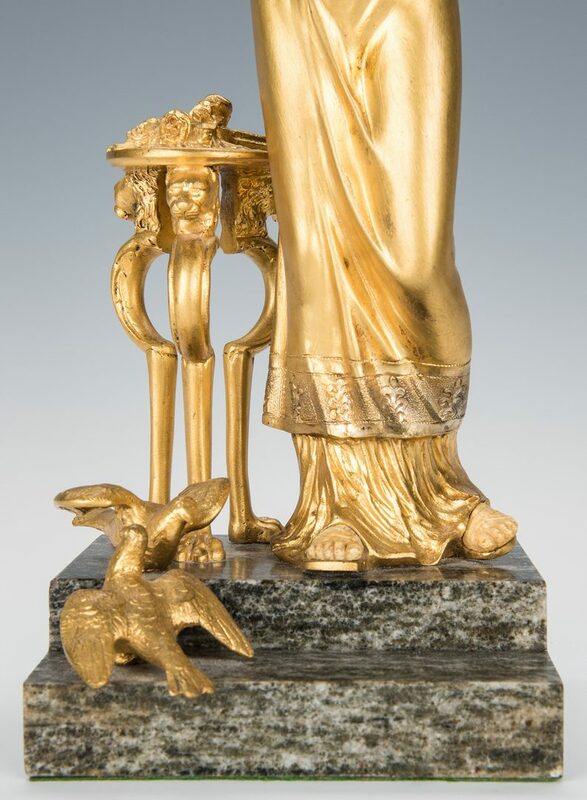 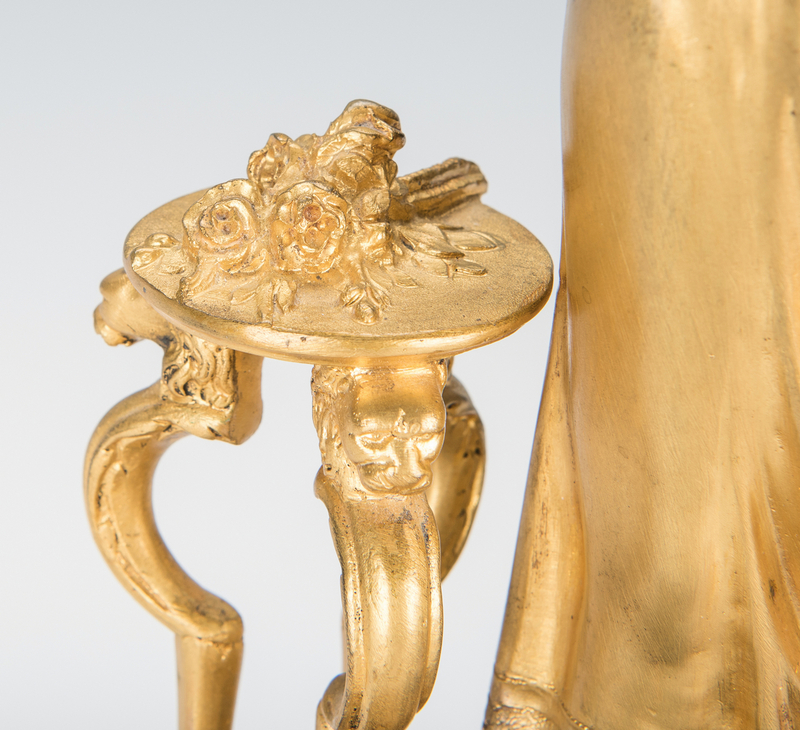 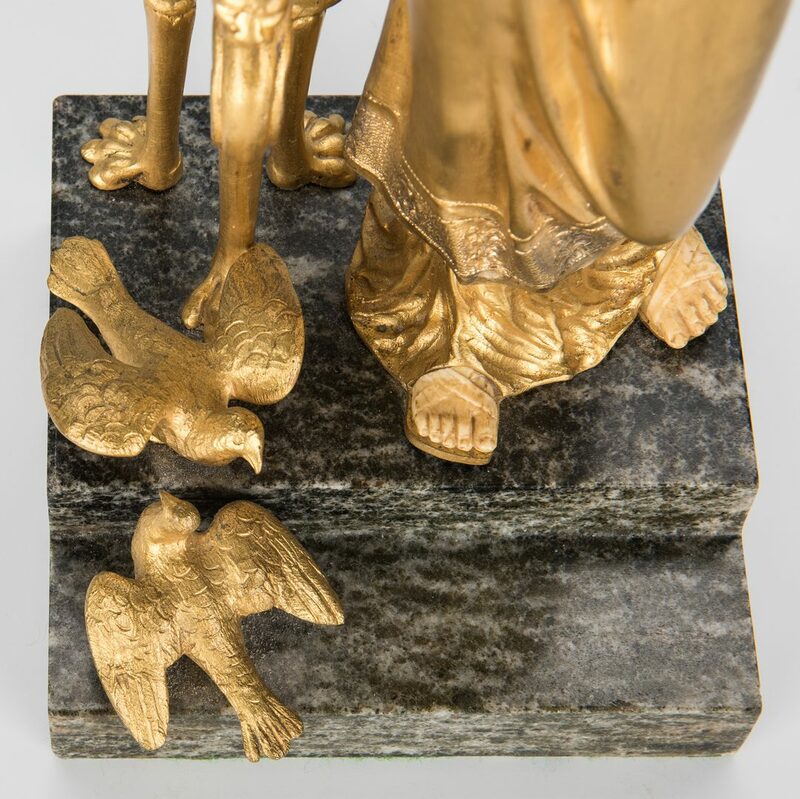 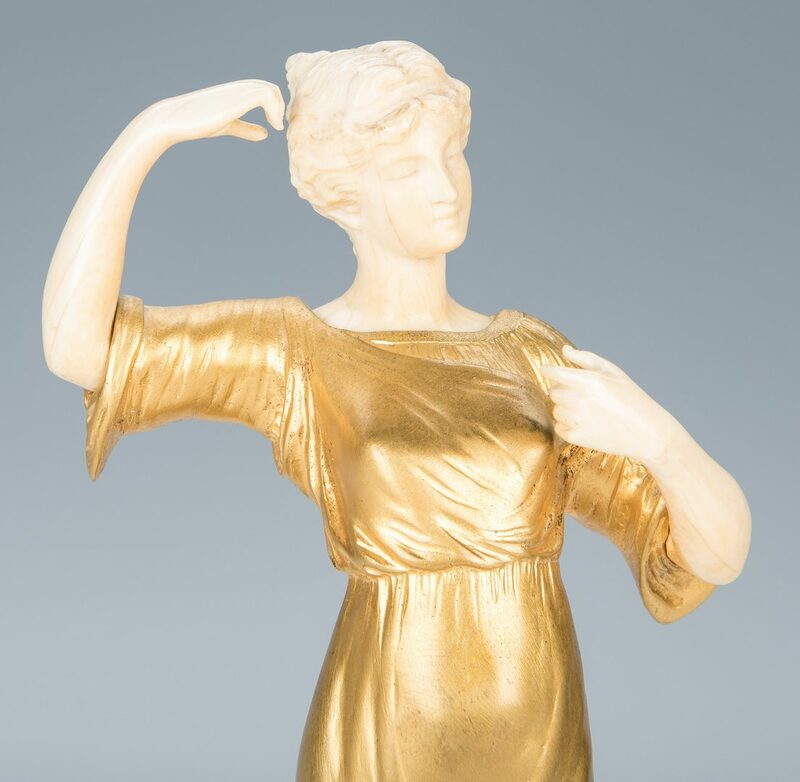 Henri Fugere (France, 1872-1944) bronze and ivory figure of a maiden standing next to a table, with roses to one side and two birds at her feet. 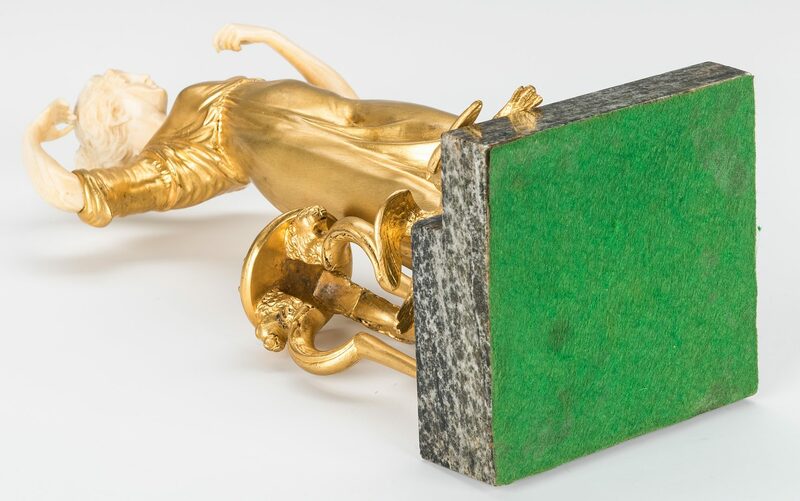 Signed "Fugere" on the top of the table. 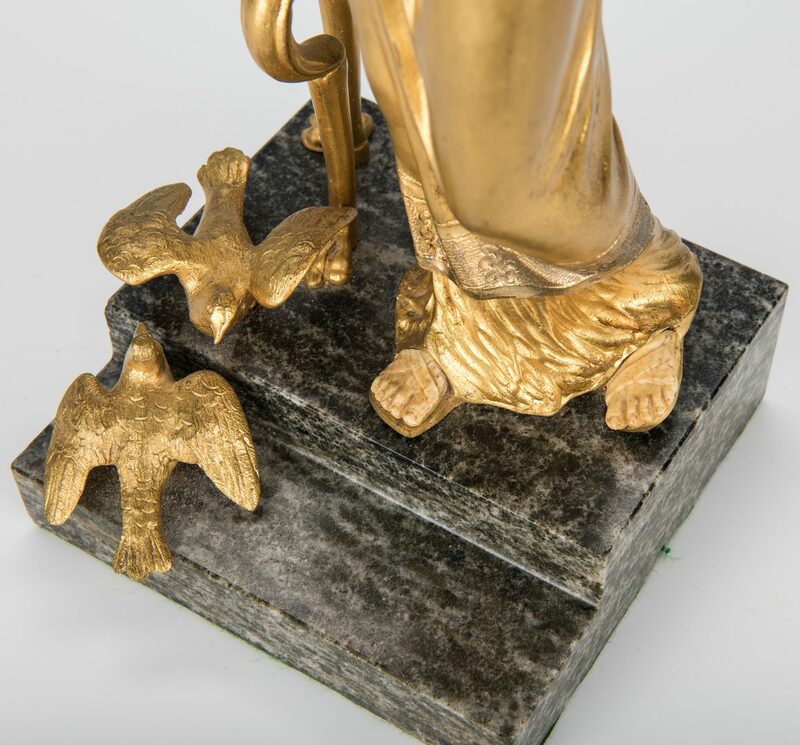 Mounted onto a stepped marble base. 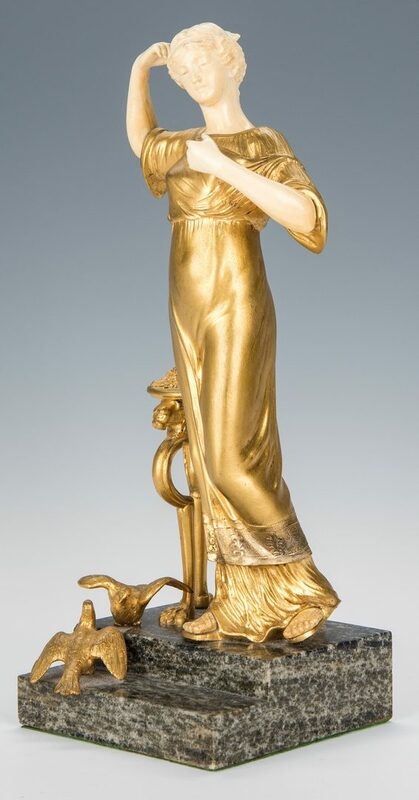 12 3/4" H. Early 20th century. 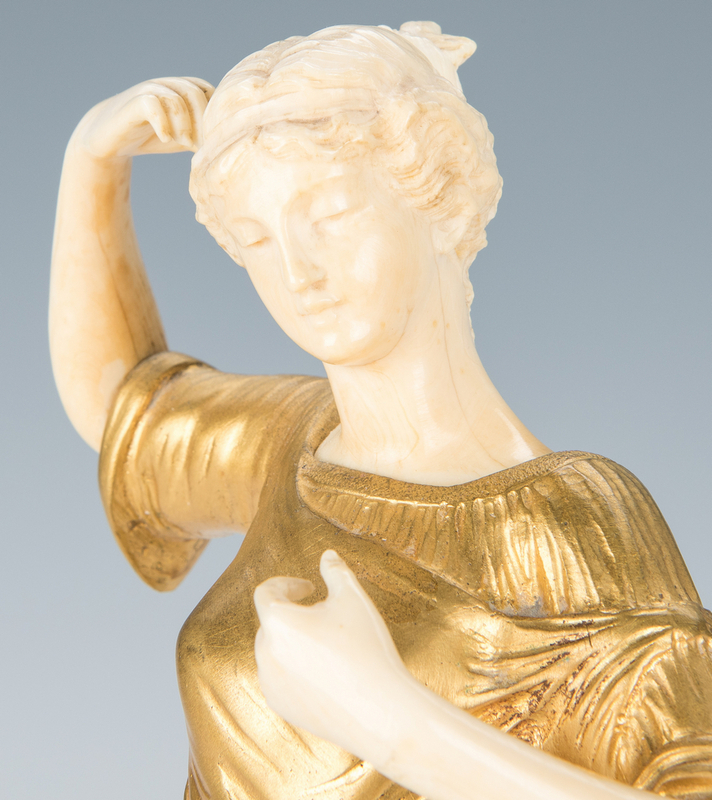 CONDITION: Missing the original bronze mirror and comb or brush, some natural hairlines to ivory head.